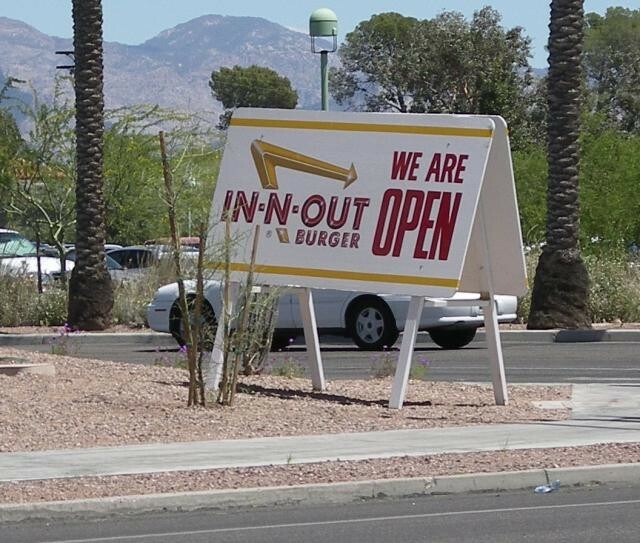 Well, the In-n-Out opened today, and Tucson seems to be very excited about it. 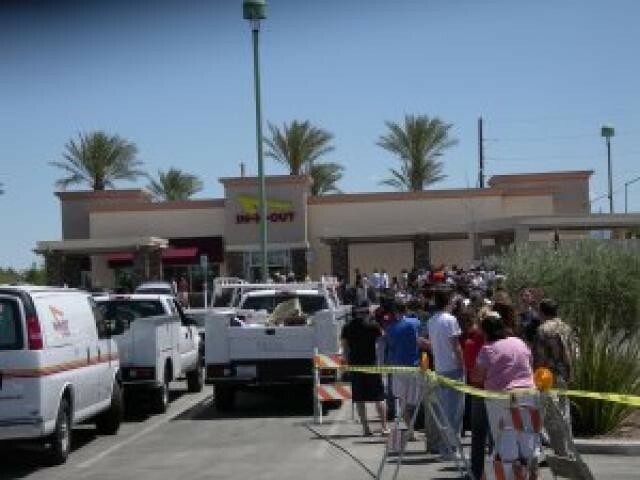 When I was there (about noon), there were more than 100 cars in the drive-through, and people standing in line more than 100 feet out the door. 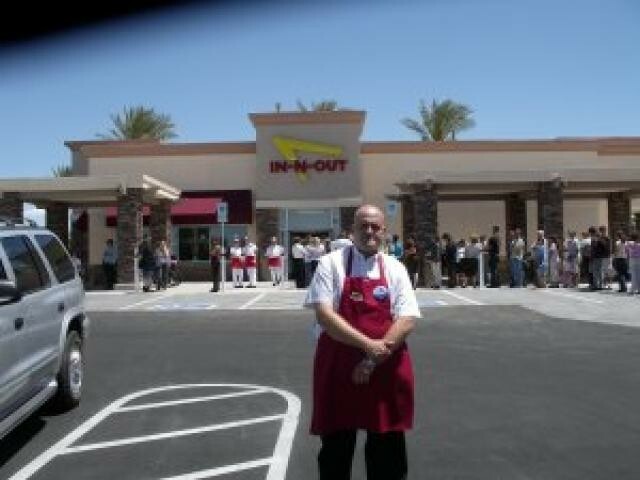 In-n-Out had employees in red aprons stationed throughout the lines to keep things in order and were even handing out cups of water to the cars in line. The drive-through line snaked past the defunct Krispy Kreme and then serpentined through the south end of the El Con Mall's parking lot, ending near the main El Con entrance. The employees were telling drivers that it would be two hours before they got through. 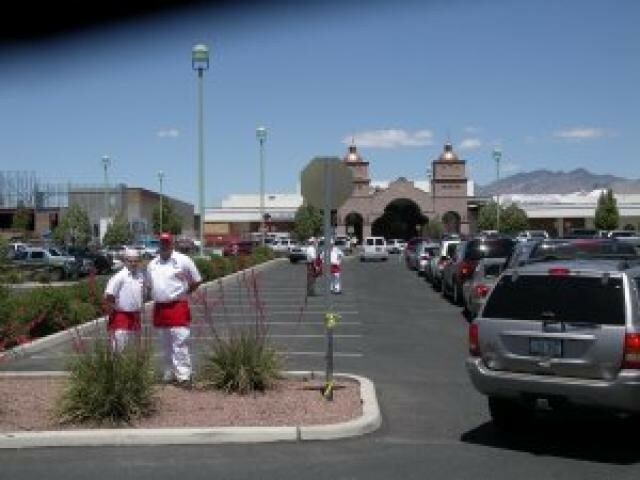 I spoke with the manager, Andy, and an employee helping out from California, Anthony. Both were very helpful and were happy to talk.